Summary: Each year in St. Louis, numerous accidents occur because of the failure of drivers to maintain their lane or carelessly switching lanes. Each year in St. Louis, numerous accidents occur because of the failure of drivers to maintain their lane or carelessly switching lanes. These accidents often cause severe injuries and considerable property damage. Missouri traffic laws require drivers to remain in their respective lanes. A drivers should only change lanes when it is safe to do so. Drivers are expected to switch lanes until they are sure there is no possibility of collision with another vehicle. Drivers who do not remain in their assigned lane may trigger a serious accident, especially when a driver changes directions abruptly because of a distraction or under the influence of alcohol or drugs. A driver who has caused a car accident because of carelessly changing lanes may be liable for any damage caused by the accident. Victims of these accidents must prove the negligence of the driver in order to protect their right to compensation. It must be proven that the driver did not act judiciously and failed to follow the duty of care when the driver haphazardly swerved away from his or her assigned lane. All drivers have the duty of care to operate their vehicle in a way any other careful and rational individual would do in similar situations. 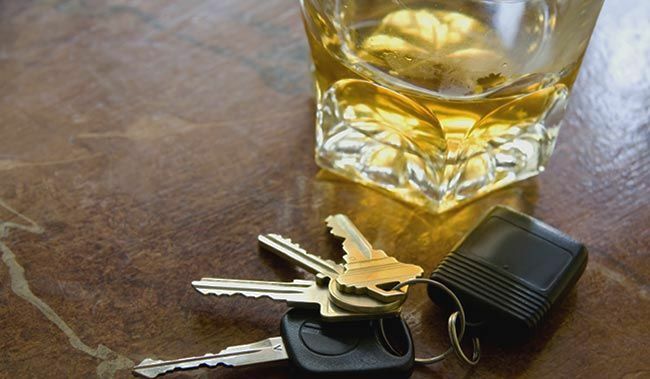 In addition, drunk driving or drivers under the influence of drugs may be held liable for negligence wherein the negligence is directly punishable under the law. In such situations, breach of duty is presumed if the driver has violated a law that was enacted to safeguard people from injuries. It is illegal for individuals to operate motor vehicles in an inebriated state or under the influence of drugs in the state of Missouri. The law was passed to provide protection to all road users from potential risks posed by impaired drivers. However, to claim their right to fair compensation, the victim will have to prove that the inebriated condition of the driver was the reason for their reckless driving, resulting in a car accident. Severe injuries may result when a driver causes an accident due to the inability to remain in a designated lane. Once the liability of the driver is proven, the victim is eligible to receive compensation, including all medical expenses, loss of income and the capacity to earn, and the pain and suffering caused by the accident. A wrongful death claim can be filed by the family of a victim who dies in an accident caused by the negligence of the driver. If you were injured in an accident caused by a negligent driver, call The Hoffmann Law Firm, L.L.C. at (314) 361-4242 for a free case evaluation.